Serving Worker's Compensation clients in Fairfield and Litchfield Counties. Call (203) 797-1345 for a complimentary initial consultation. Injured workers and their families rely on workers' compensation benefits to cover medical bills and to make ends meet while they are out of work, due to the injury. When there is denial of a claim for benefits, such individuals have the right to contest the denial and fight for the benefits they require. If you are contesting a denied workers' compensation claim, it is important that you have an attorney who understands the process and the type of documentation and medical opinions needed to substantiate your claim. 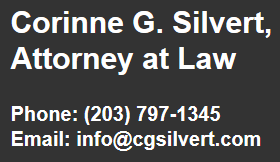 Attorney Corinne G. Silvert, in Danbury, Connecticut, provides skilled representation to workers injured on the job. When denial of a claim occurs, she offers guidance and experience in handling the contest process. 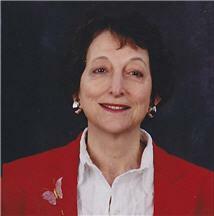 She has been providing such representation since becoming an attorney in 1983. If you are seeking to contest a denied workers' compensation claim, turn to a workers' compensation lawyer with the experience you need. Call (203) 797-1345. When the workers' compensation commissioners make a determination, both sides have 30 days to appeal the decision. If either side seeks a review, they must petition to request a review by a panel of three board members. This panel will review the claim that was presented, including all the evidence and medical records. If the panel upholds the commissioner's decision (does not unanimously over-rule) and the appealing party wishes to appeal the decision further, he or she can request a full review by the state appellate court. While appeal of a claim takes place, the workers' compensation provider does not have to make weekly payments to the worker. If the worker finally wins the appeal, however, the provider must provide the compensation for wages and doctor's bills. Attorney Silvert will be there for you. She closely evaluates your injury, the initial claim and the medical records supporting your initial claim. She will take a fresh look at your case and provide tailored solutions to address problems with the initial claim and reach the most successful outcome possible. To contact my Danbury office, please call (203) 797-1345.